Can anyone tell if these are real or fake? So I have a couple bent rims on my zhp and have been looking for some replacement ones for awhile and found someone selling a set at a good price and these are the pics. Can anyone see anything suggesting these are not real deal? I would think that if they are genuine BMW, a BMW logo would be found on them somewhere. Last edited by 03325; 04-15-2019 at 07:09 PM. I thought that is where the m logo went like on my current style 135s? They look authentic to me. I will check my ZHP in the morning. Those wheels were stock on ZHPs. 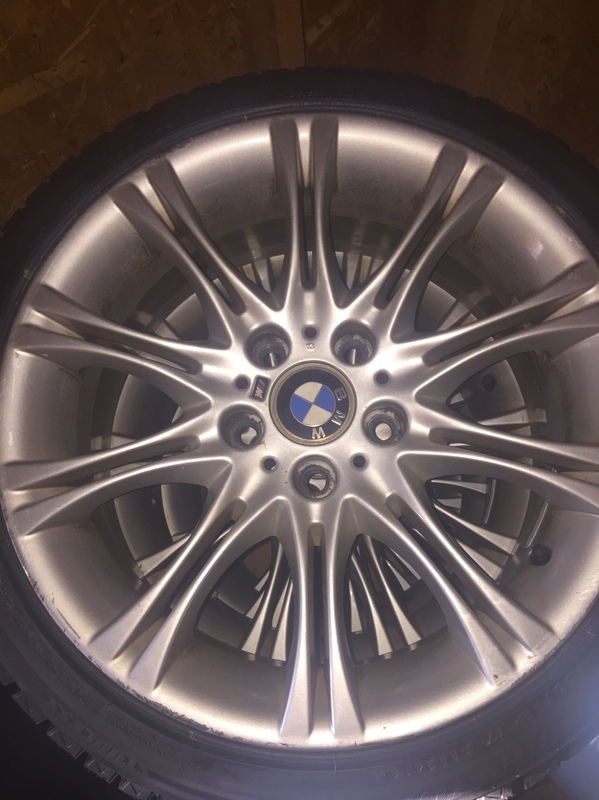 The bmw logo goes where the rectangular indentation is located on the face of the rim. Last edited by RobertDenali; 04-15-2019 at 09:39 PM. 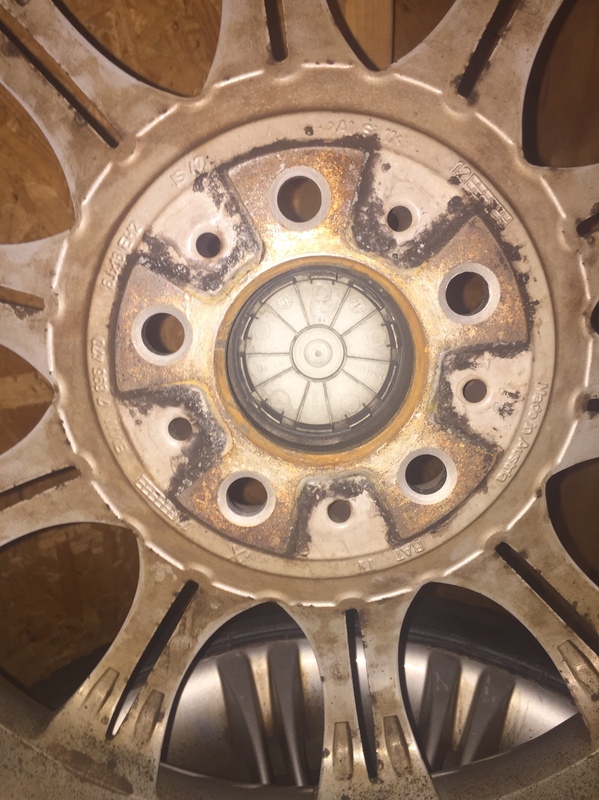 Post more pictures of the inside of the wheels. Get all of the other identifications cast into the inside. There's also the possibility that they're unbranded but made by the same company that made the OE BMW wheels. If you find a mark from Lemmers, etc, that's a good sign. No manufacturer mark usually means knock- off. After reviewing markings on the face and you have some sort of screw on the inside they don’t appear to match genuine which is odd because they look really good! Check all the markings and compare to what I posted. Last edited by RobertDenali; 04-16-2019 at 04:35 PM. Congrats, hopefully they are genuine and if not who cares they will look good! Knock offs could just result in more bent rims. If they are fake, the lips could fail also. Normal driving isn't going to do this most likely but in the case of rims, you usually get what you pay for. How many weights do you have on for balancing? Have not installed them yet because I'm sorting out some issues in the rear suspension before putting the new rims and tires on...I was planning on replacing rear shocks but when I got under the car I found a bent lower control arm and saw my rear diff bushing is cracking so I'm replacing rear control arms, upper and lower bushings/bearings, rtabs, diff bushings and shocks and as most know this is a royal pain in the @$$! I think they are replicas. The backside of the hub center is different from BMW OEM. Specifically, in the first set of pictures the voids in the hub flange don't have the slots so that water drains out. In the second set of pictures, the backside of the hub flange is different (and not OEM looking) from the first set of pictures.